Beautiful desert landscape and nature surrounds Phoenix, but a trip to the Desert Botanical Garden is a must-see destination for all visitors. The Desert Botanical Garden has been an inspiring landmark in the city for more than 70 years – over 50,000 plants are featured throughout the 140 acres of pristine landscape. Visitors to the Botanical Garden will enjoy the exhibits, tranquil gardens, forest and Sonoran landscape. Temporary exhibits provide even more art and culture at the Desert Botanical Garden, most recently with the breathtaking exhibition by artist Dale Chihuly, who is one of the key artists in the Studio Glass movement. Chihuly’s exceptional work has been seen in many art museums, gardens and cities – the Smithsonian American Art Museum and the Metropolitan Museum of Art to name a couple. Walking through the Desert Botanical Garden, visitors have the opportunity to see these works of art up close. 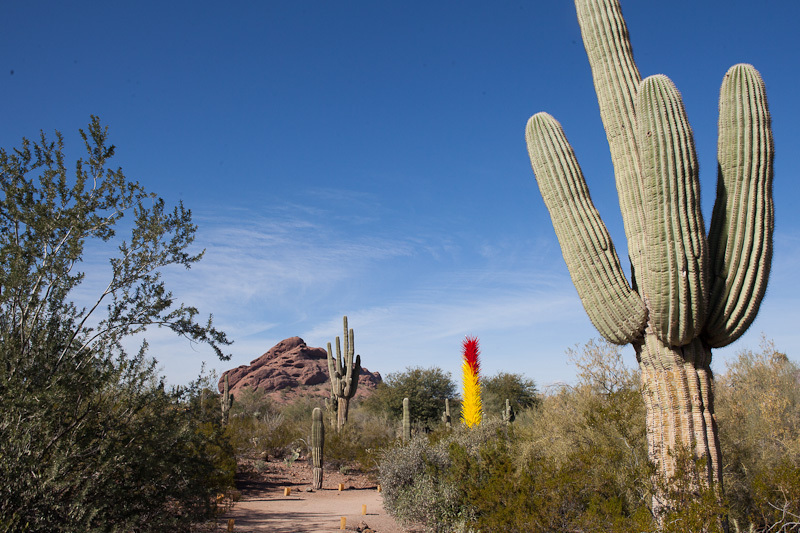 Vibrant colors and unique, whimsical shapes stand out against the Sonoran landscape – red, yellow, blue and white glass art installations were scattered throughout the gardens. At night, the glass art comes to life and infuses color into the entire garden — a sight to see! Another destination on a travel itinerary to the Phoenix area is the Frank Lloyd Wright home – and now museum – Taliesin West. 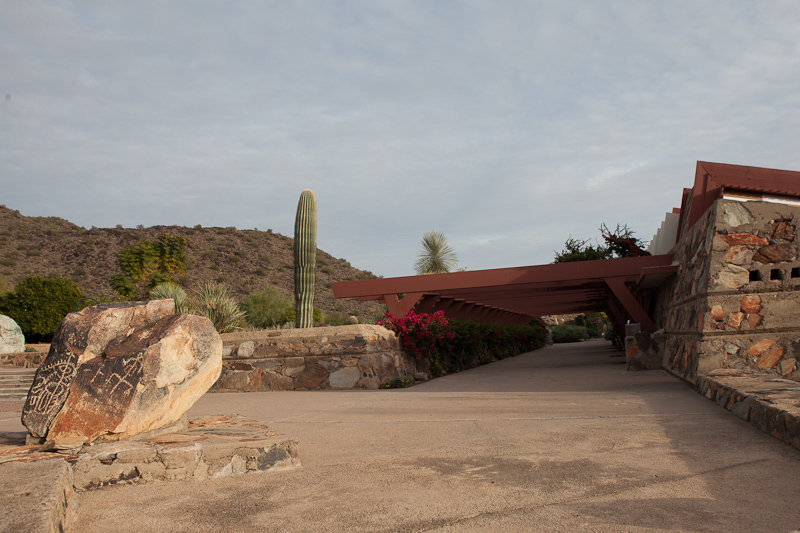 The home, which Wright began building in 1937 and now recognized as a National Historic Landmark, once served as his winter home and studio on the outskirts of Scottsdale. Visitors to the beautiful home will be in awe of the surrounding desert, as the home is situated in the foothills of the McDowell Mountains. One of Frank Lloyd Wright’s significant architectural talents was to combine indoor and outdoor living spaces seamlessly. One significant space in the home is the ‘Garden Room,’ which features desert masonry walls, a combination of architectural materials such as glass and wood, and opens up to the lush garden outside. The Arizona desert inspires many aspects of Taliesin West – Frank Lloyd Wright wanted to use the natural beauty of the landscape to create the region’s own distinctive architecture. Uptilting planes, sweeping lines and abstract colors are all used to infuse the style of the home with patterns and tones found throughout the desert. 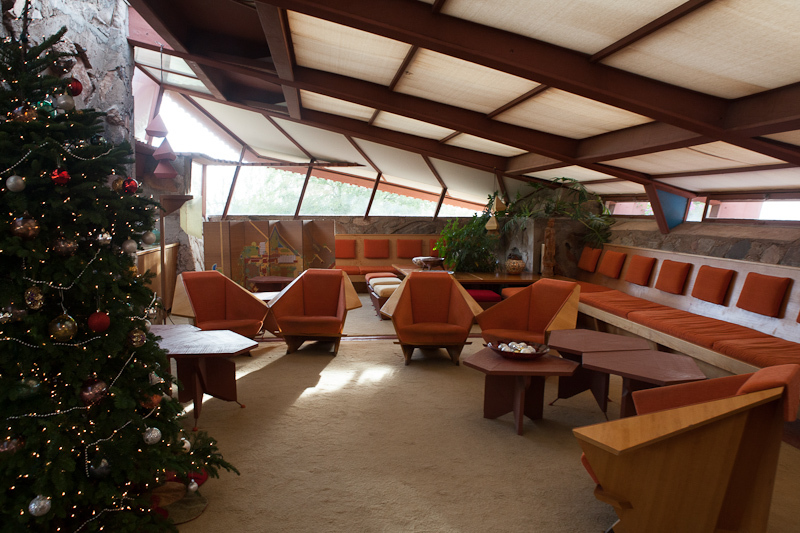 Many of the walls at Taliesin West are made using local rocks – Wright was in favor of using readily available materials at the site, rather than bring materials in and many of the flat wall surfaces throughout the home are large boulders. Throughout the home are many Asian-inspired antiques, objects which Wright collection during his time building the Imperial Hotel in Japan.